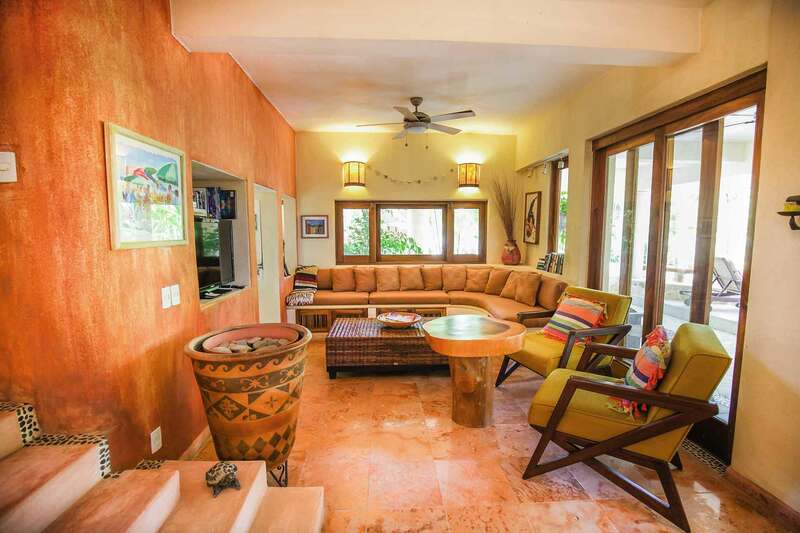 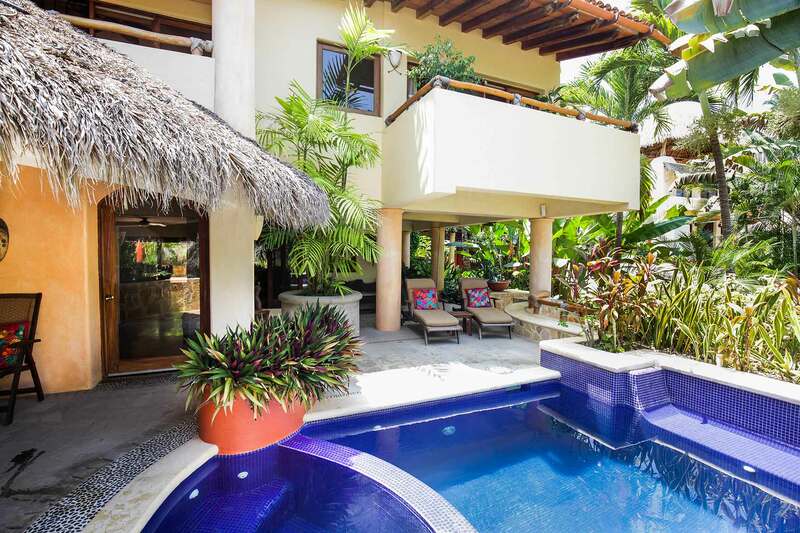 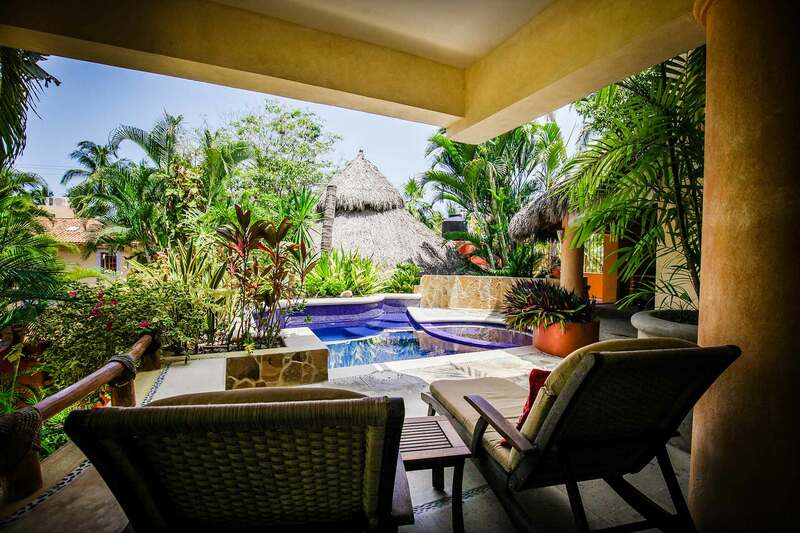 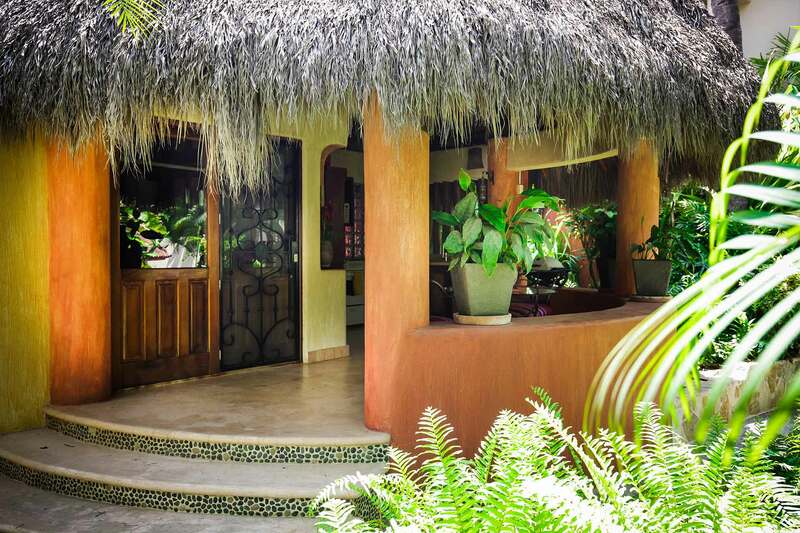 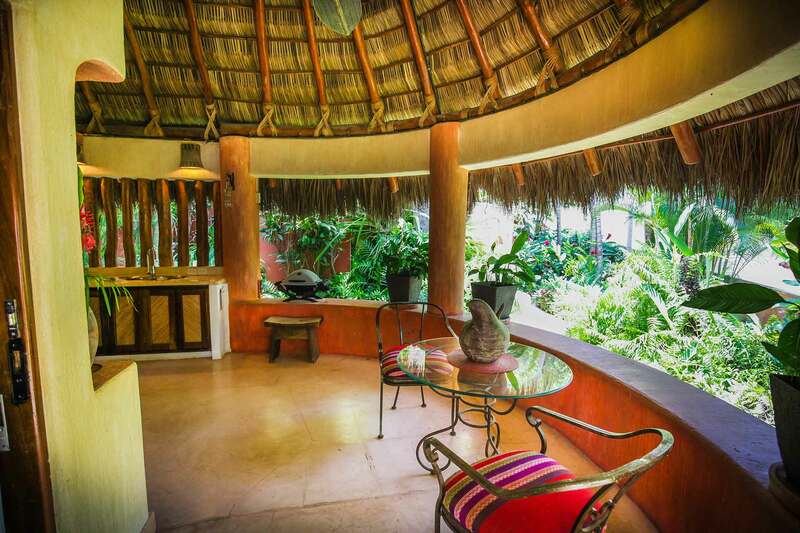 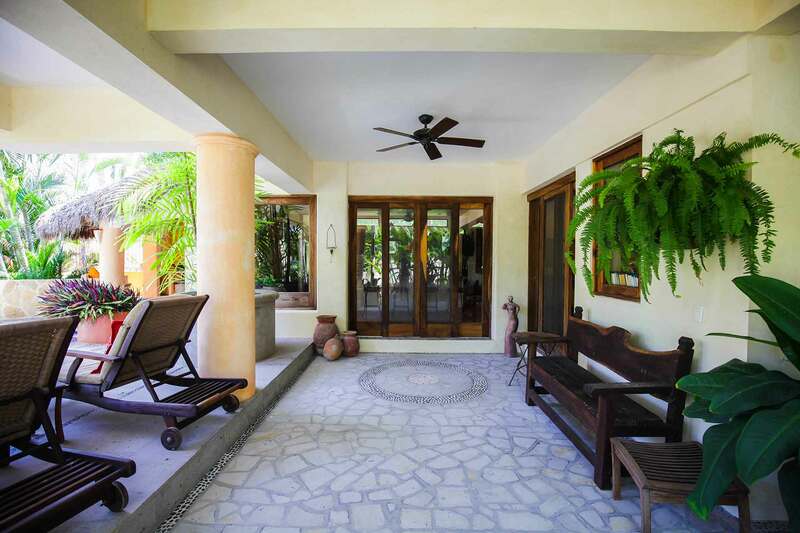 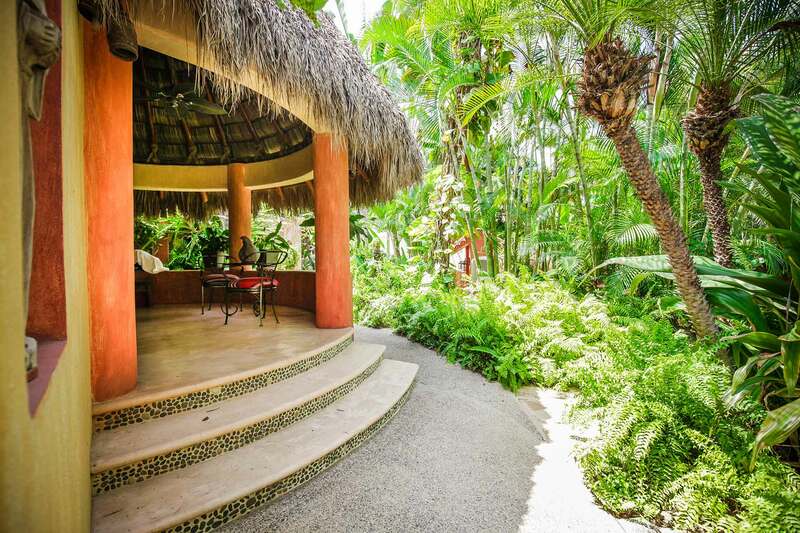 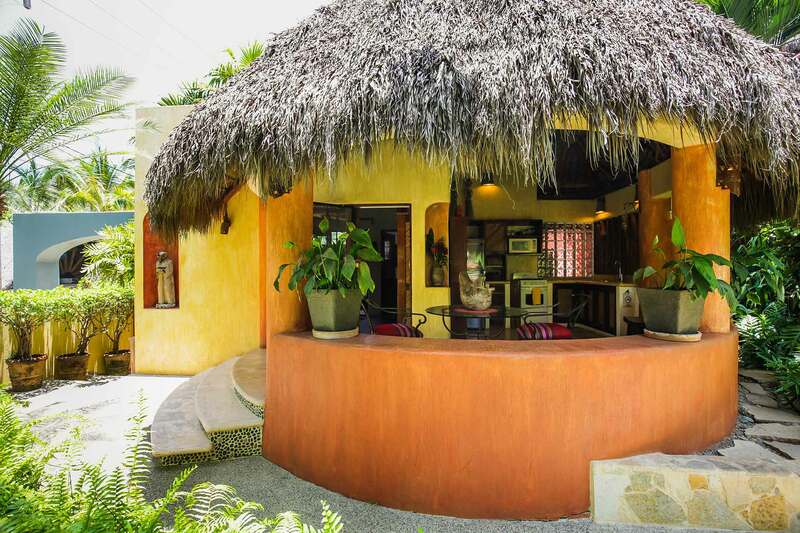 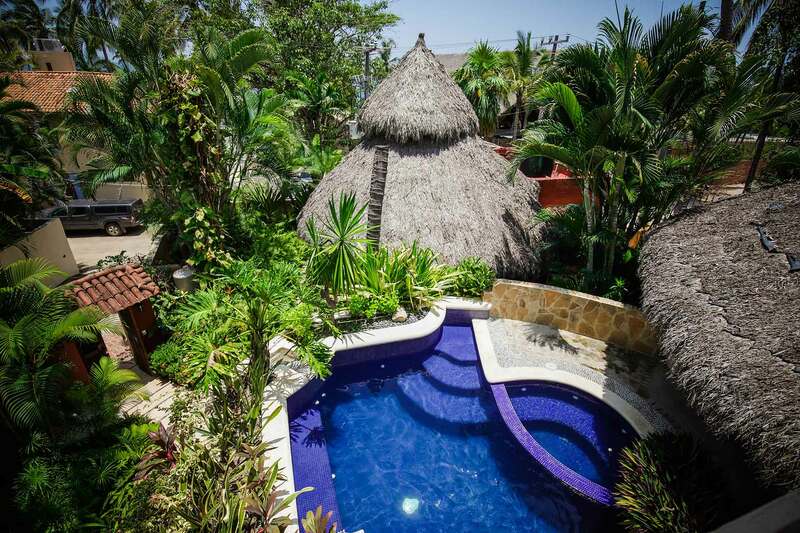 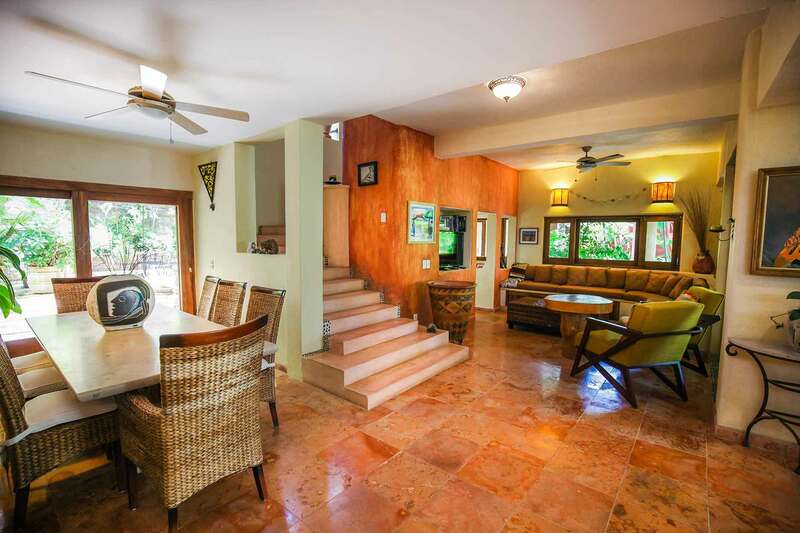 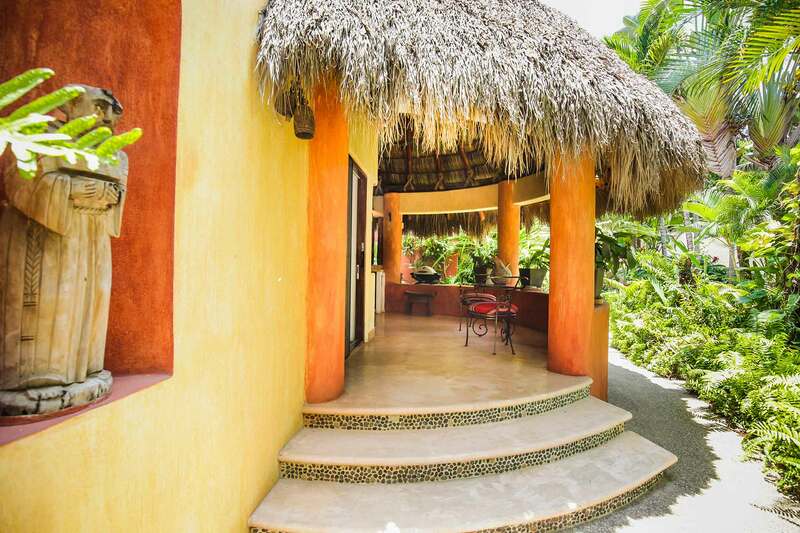 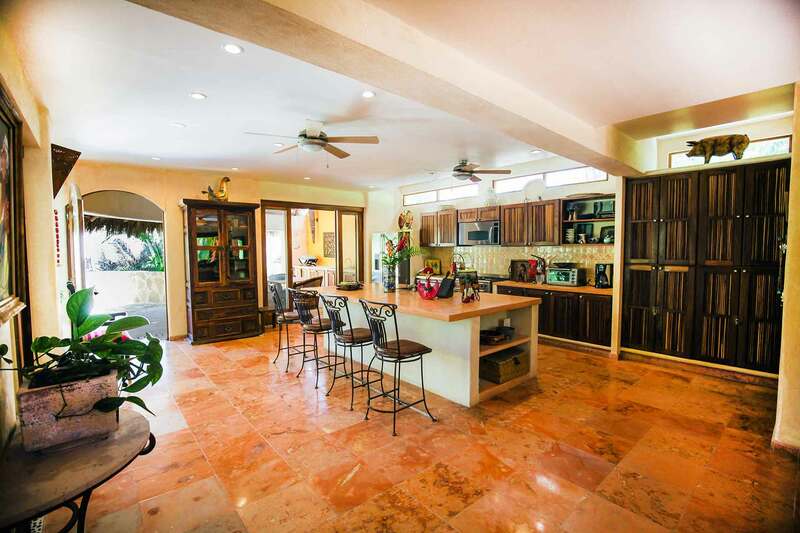 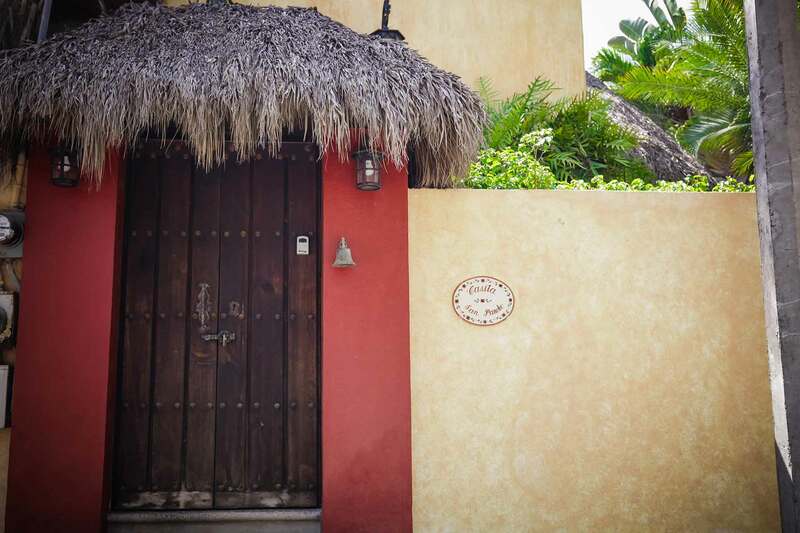 Casa San Francisco & Casita is a truly romantic, three-story, tropical two bedroom home with a private, detached, one bedroom casita all nestled in the sought-after residential area of San Pancho known as Costa Azul. 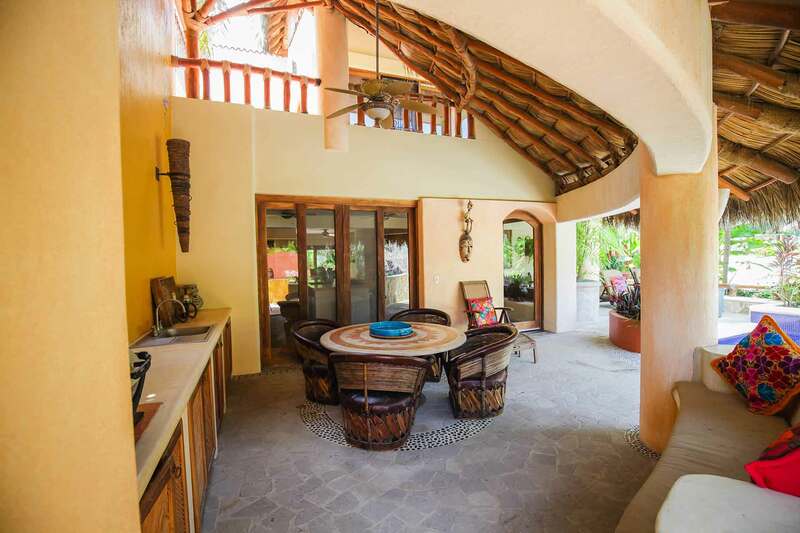 This 4000+/- square foot, deluxe villa & casita was designed in 2007 by the award-winning architect Luis Ruis and is one of Costa Azul’s most impressive villas. 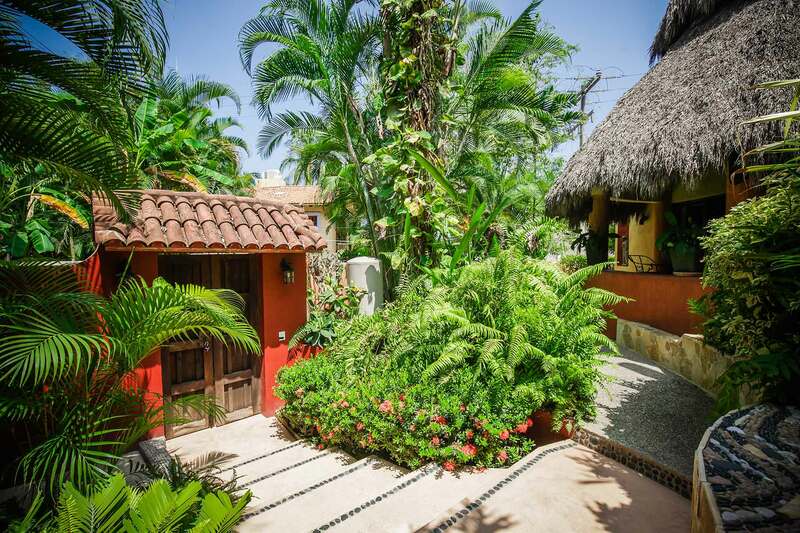 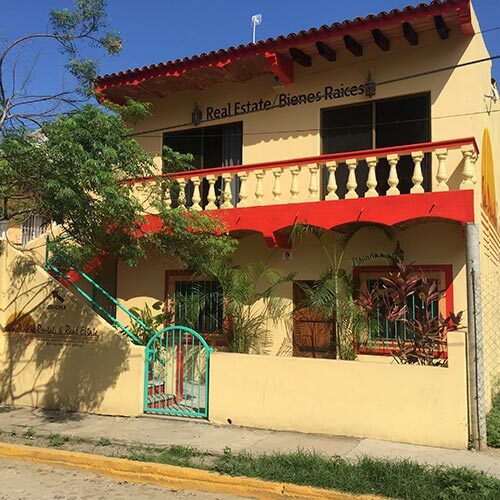 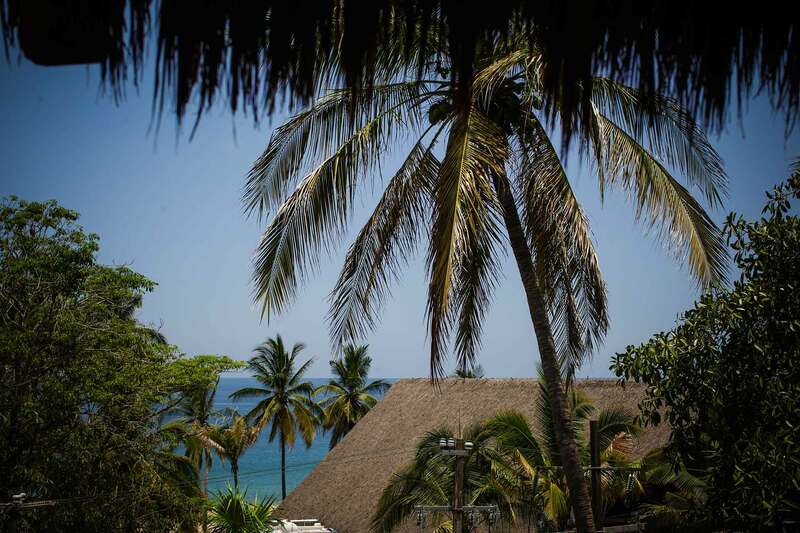 Casa San Francisco is conveniently located across the street, approximately 50 paces, from the beach and a mere 15 +/- minute-walk down the beach to the quaint pueblo of San Pancho. 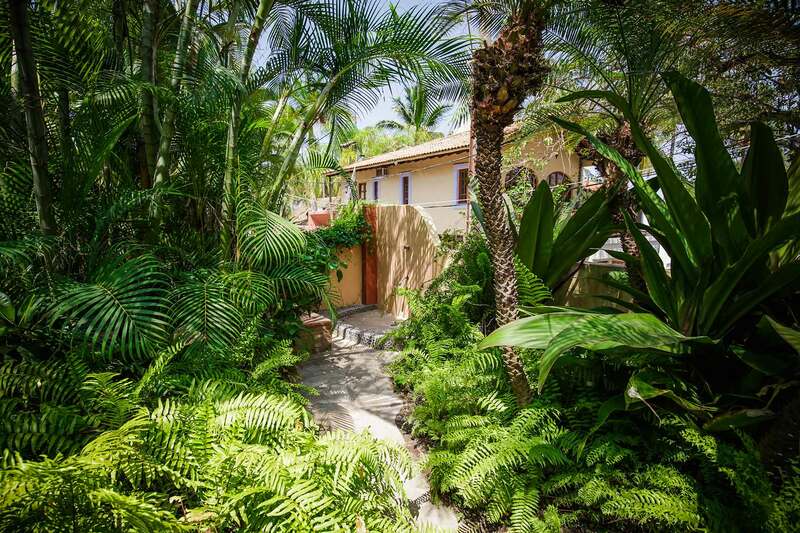 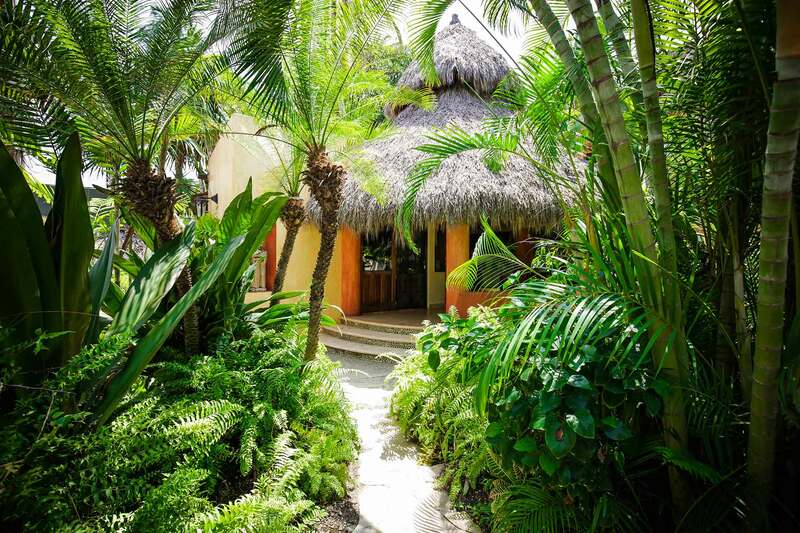 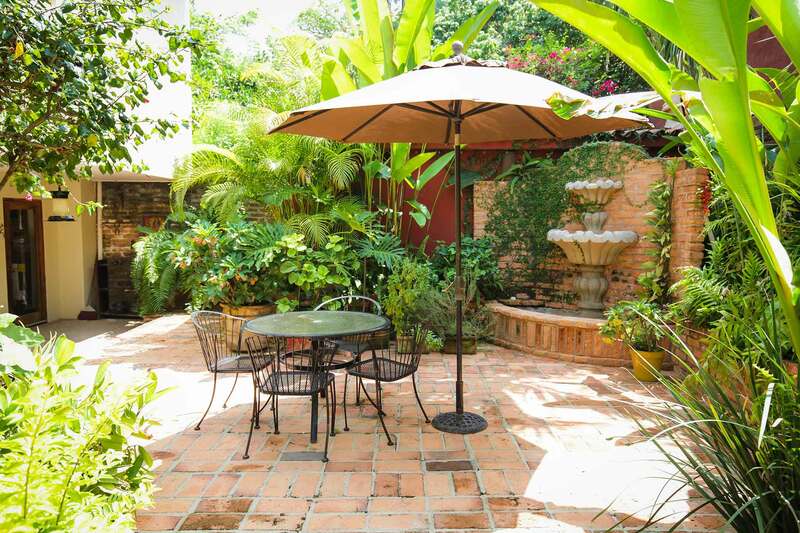 A private gated entry leads you through the lush gardens with a lily pond, exotic flowers, plants and palms. 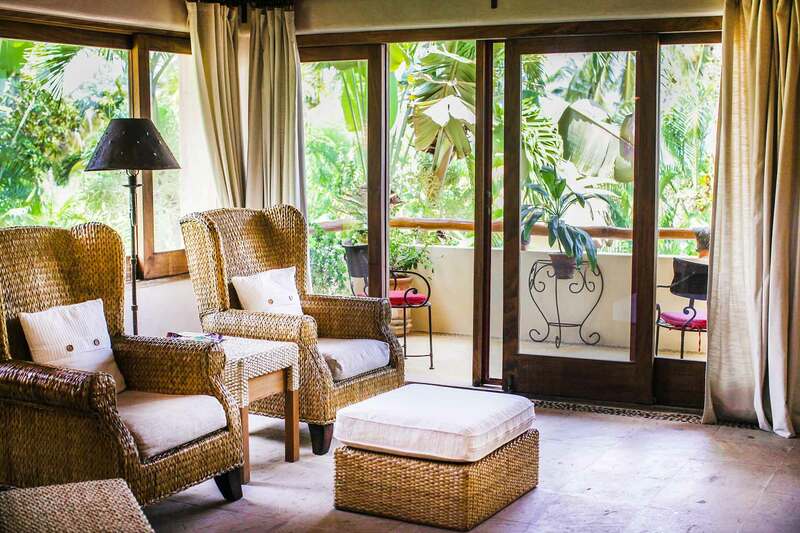 The main terrace hosts a wonderful plunge pool with a relaxing waterfall feature accompanied with an outdoor dining space, a barbeque, sink and comfortable chaise lounges. 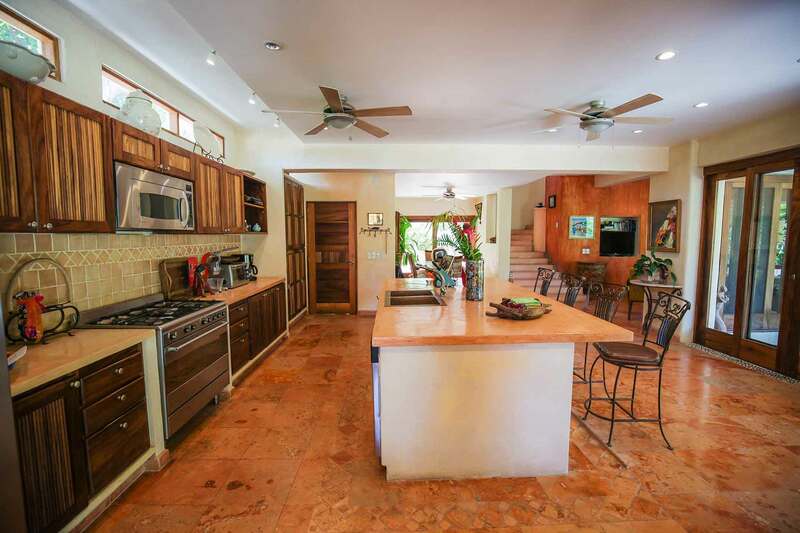 The main house entrance level features a formal dining room for eight, fully equipped kitchen with breakfast bar, lounge/living area with American satellite television, powder room and backyard terrace with more outdoor dining in a jungle setting great for bird watching! 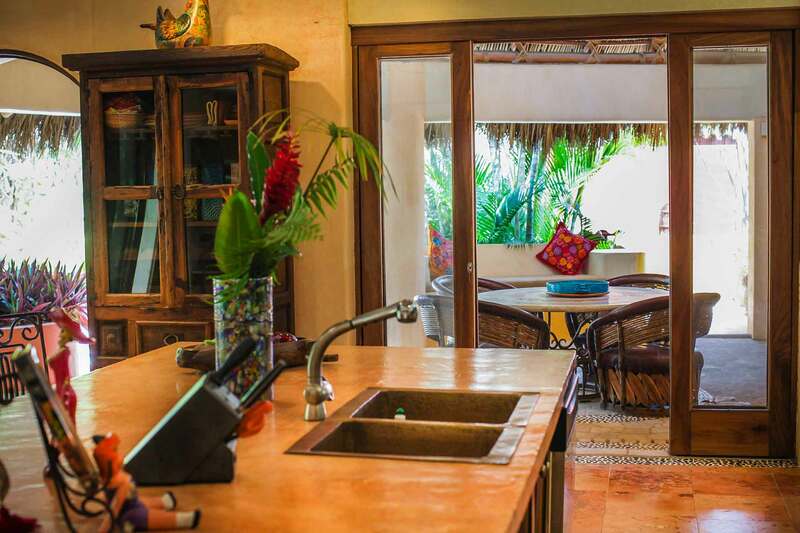 The kitchen is fully equipped to prepare a delicious meal or one can always take a short stroll by beach or cobblestone road to the town center to enjoy a wide variety of restaurants, from authentic breakfast and lunch places to fine evening dining or delicious street tacos. 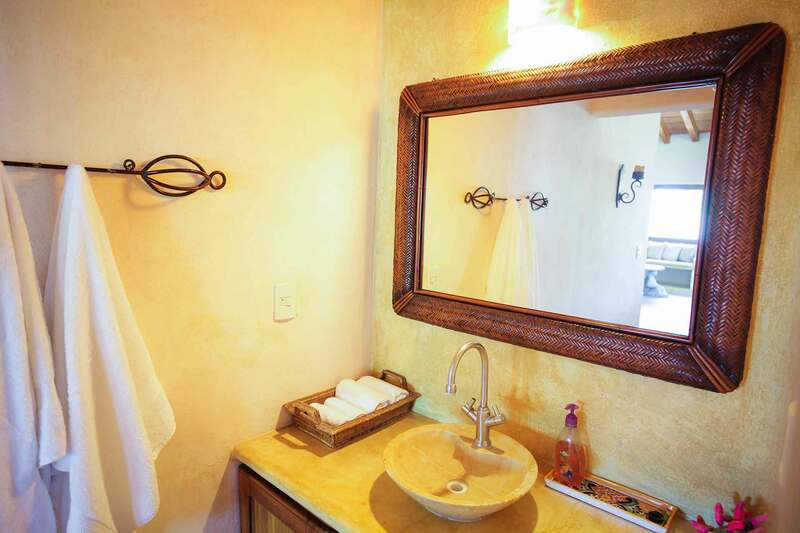 The second level hosts two completely separate, beautifully furnished, grand, master, en suite bedrooms. 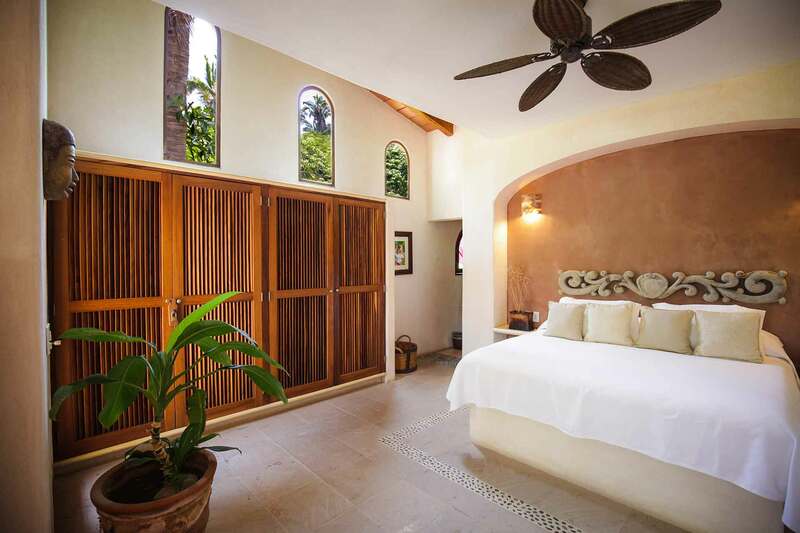 Each bedroom is equipped with a king size bed, down pillows, satellite television, remote control air-conditioning, a full bathroom and private balconies with ocean views. 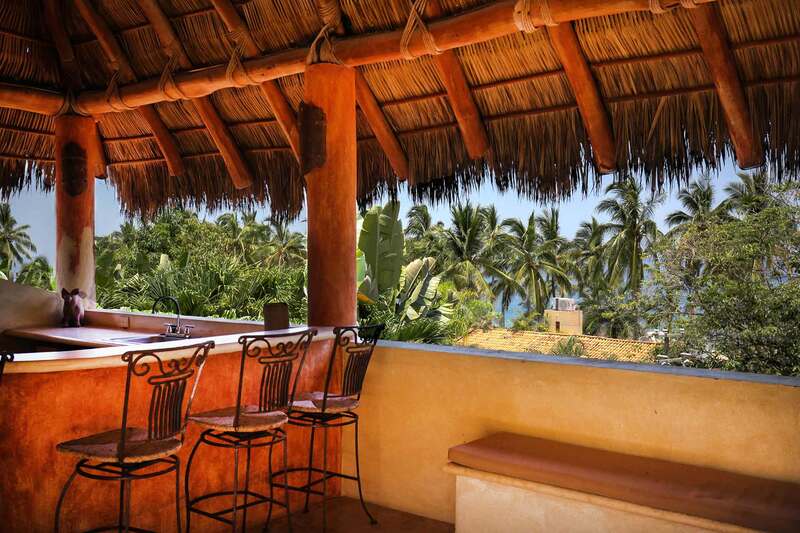 The rooftop, third level, covered by a palapa roof, is a magical place to enjoy your morning coffee or sip margaritas while viewing the breathtaking Pacific Ocean. 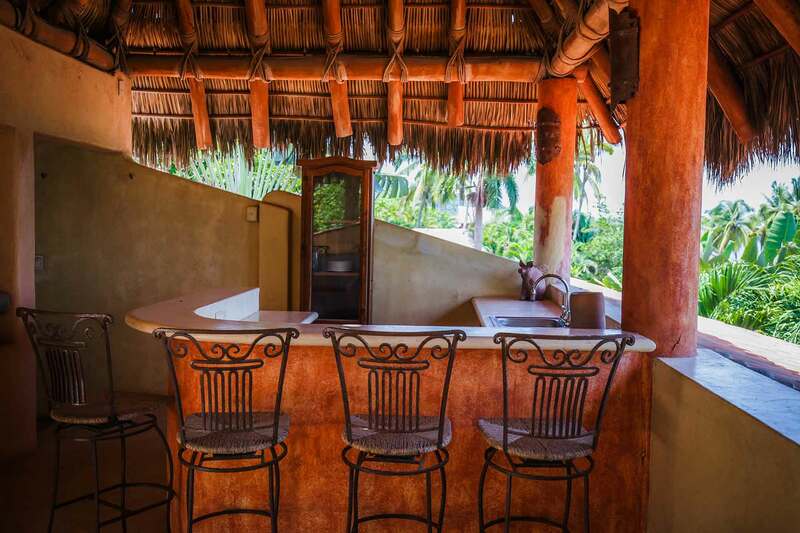 This terrace encompasses a wet bar equipped with mini fridge and mood lighting. 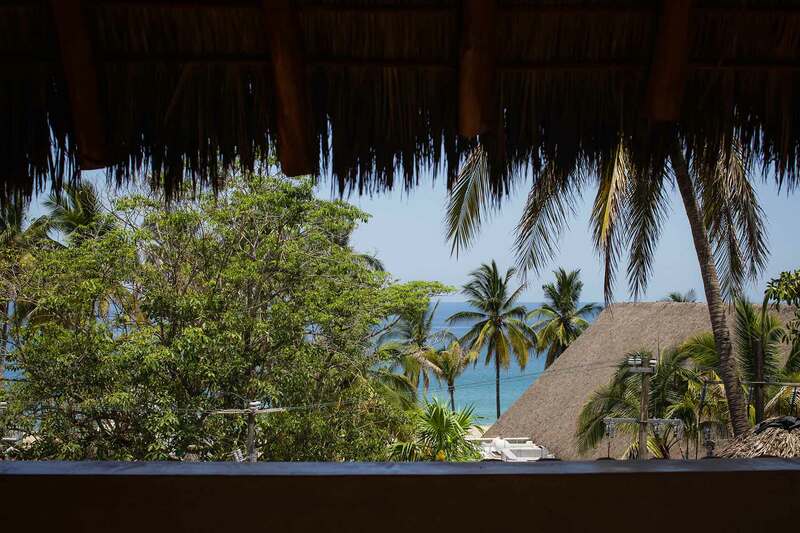  Tropical birds provide constant music to the ear, as does the sound of the ocean just steps away. 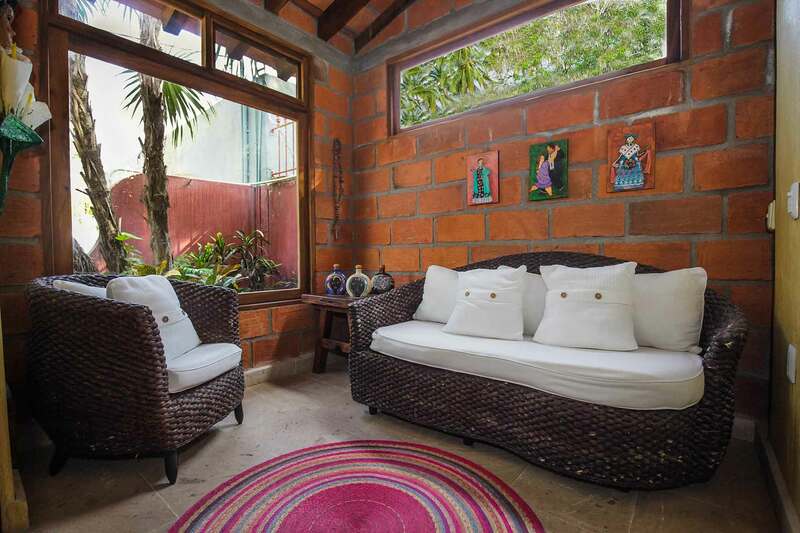 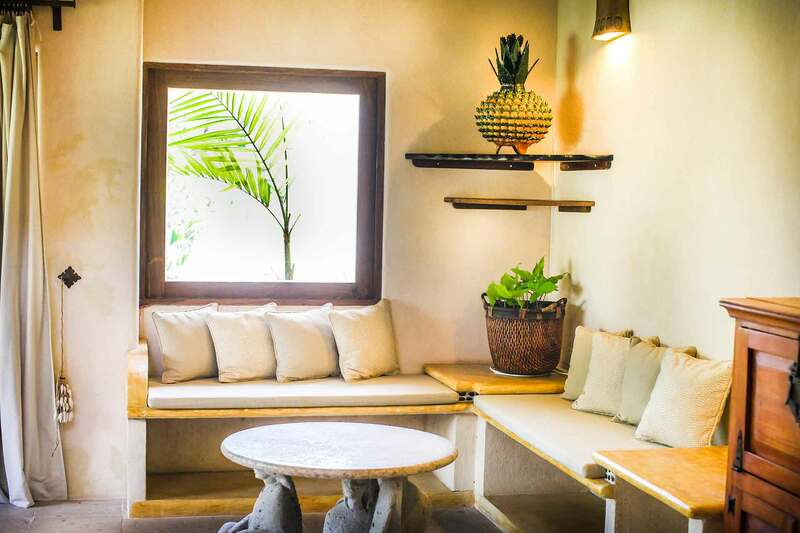 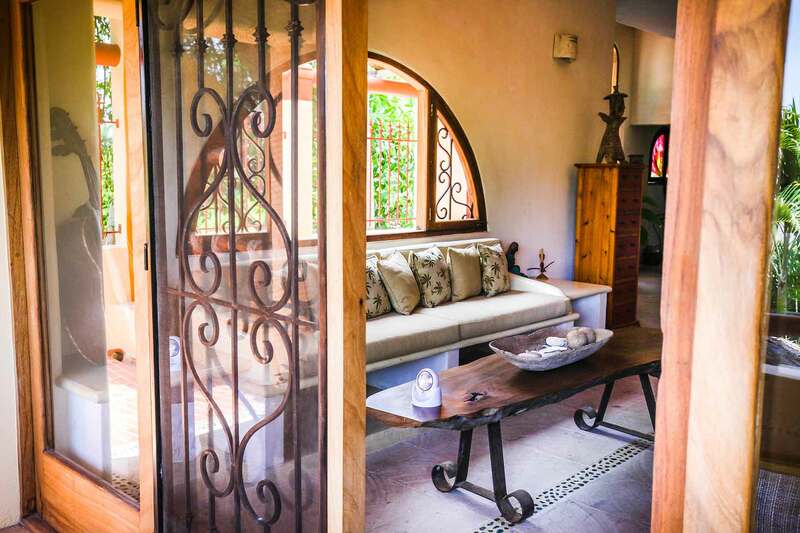 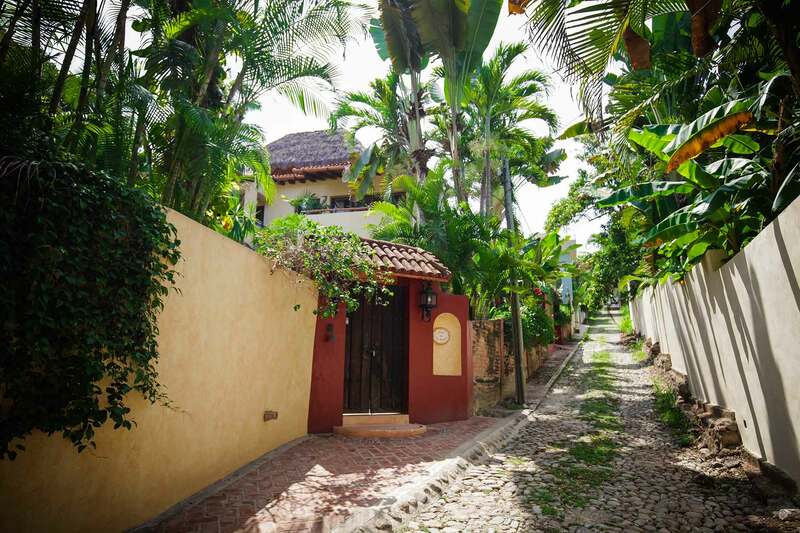 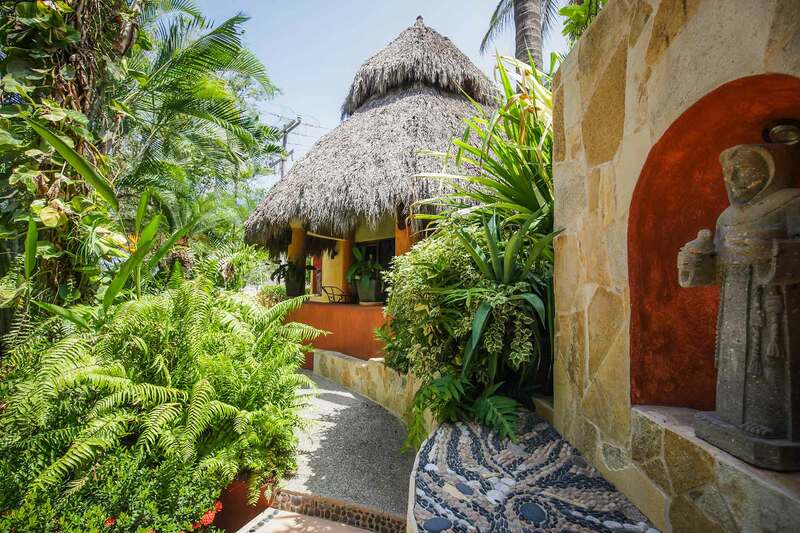 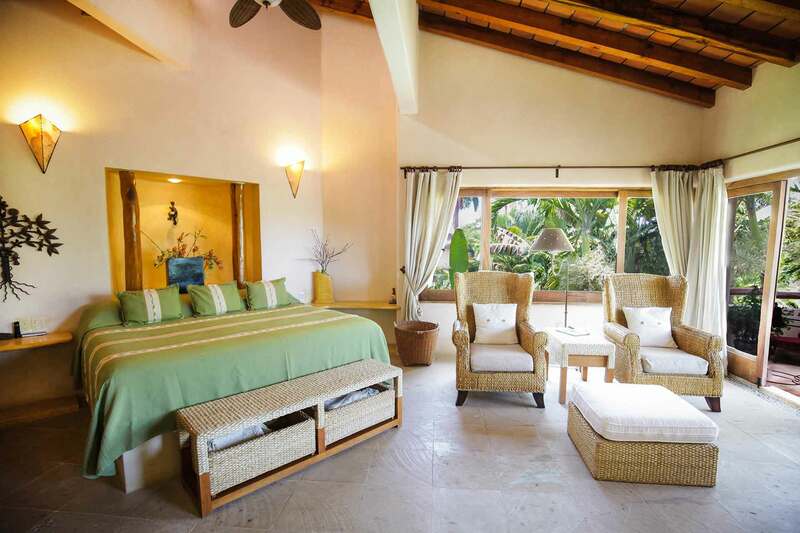 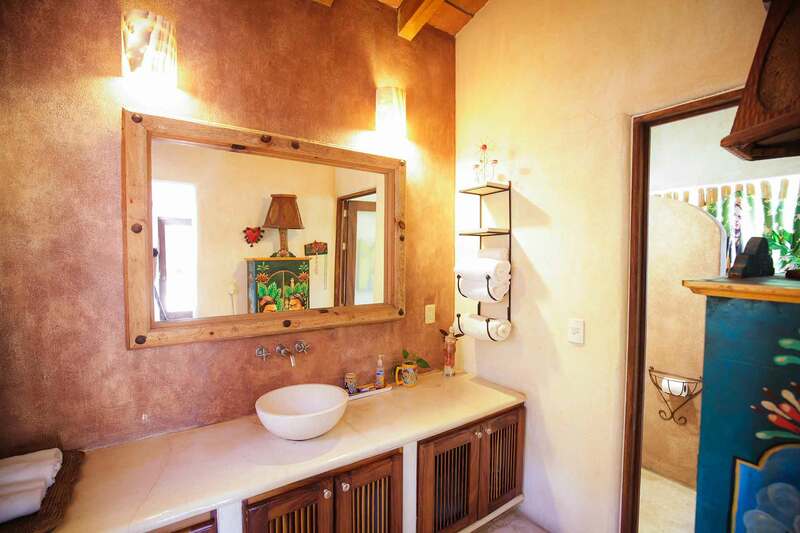 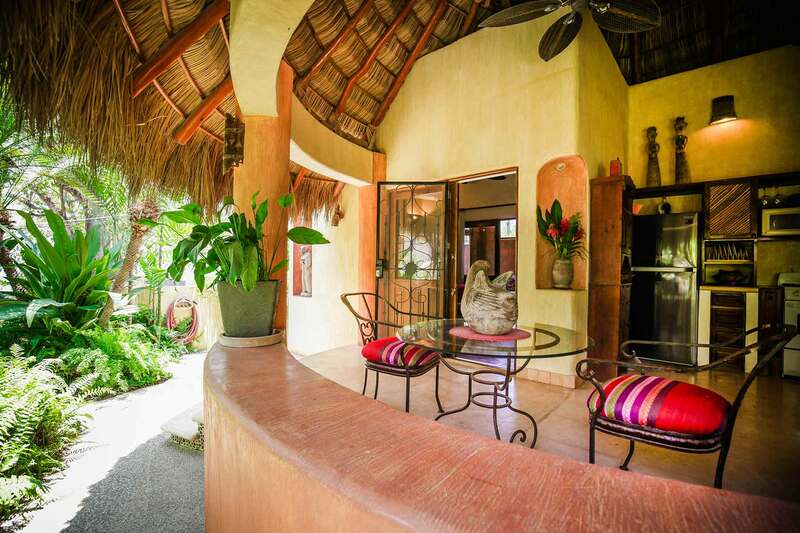 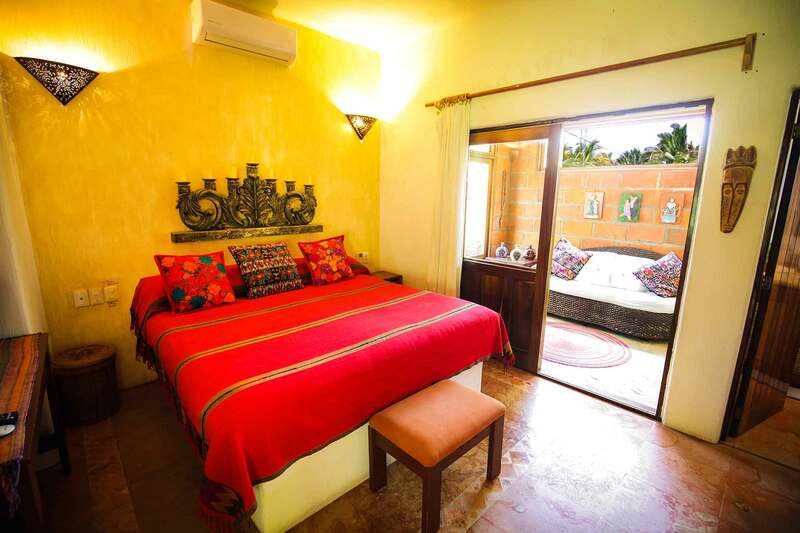 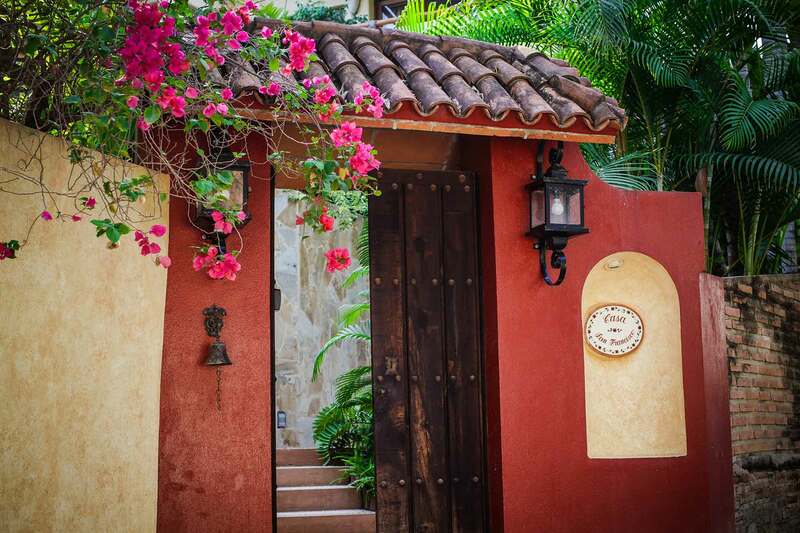 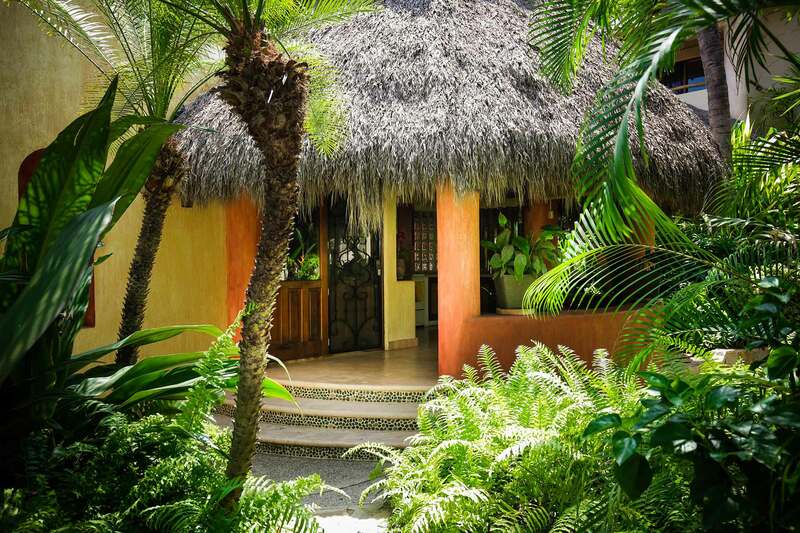 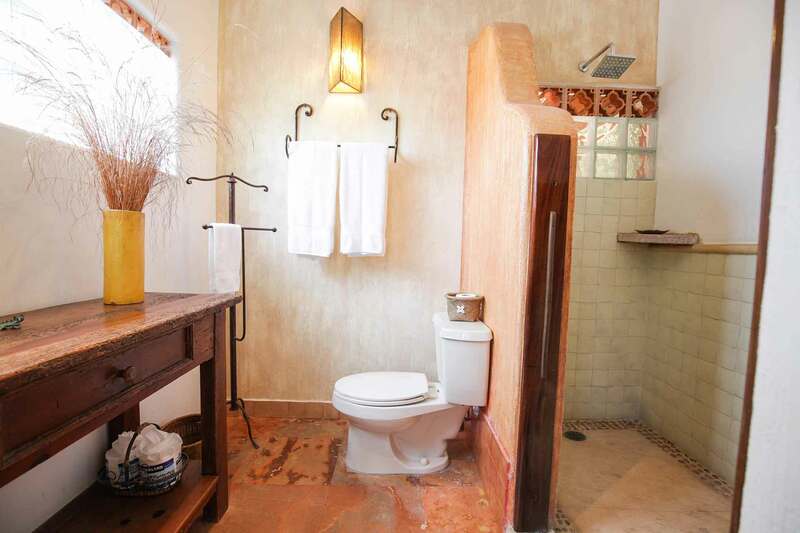 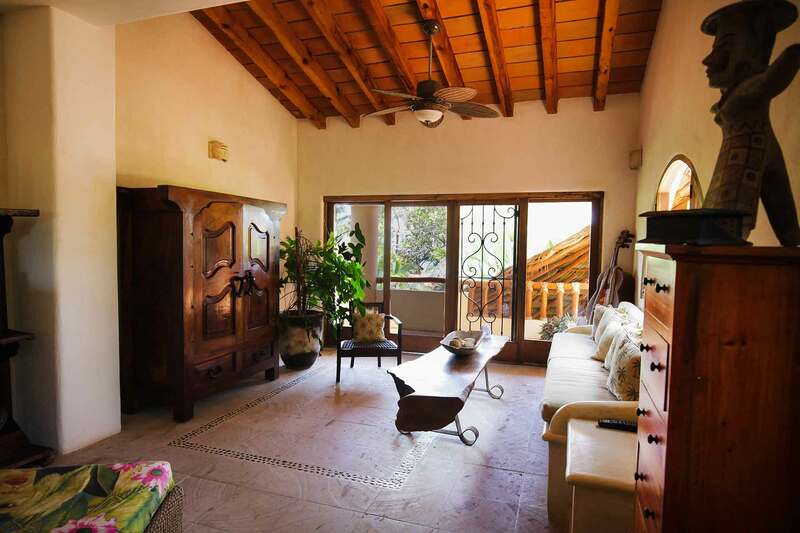 Also located on the property is Casita San Pancho, an exquisite one-bedroom cottage. 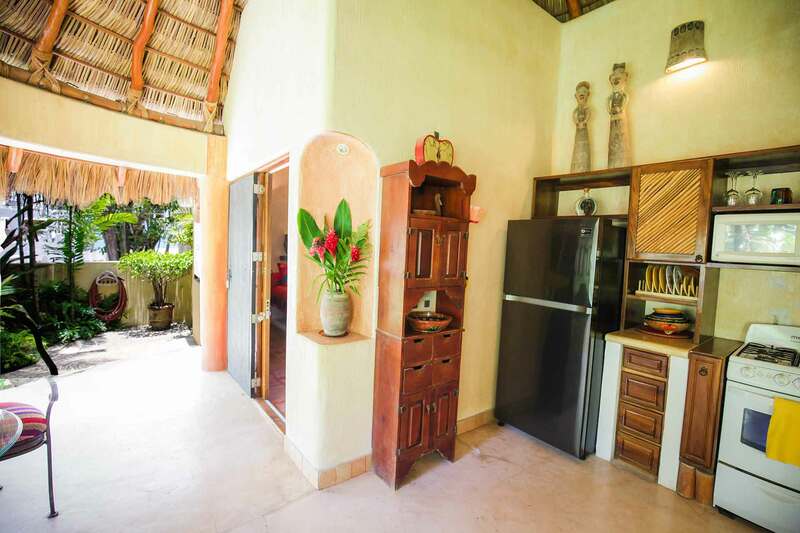 The casita has an open-air full kitchen, dining area for two and an indoor, garden sitting area that offers a cozy, comfortable respite at any time of the day. 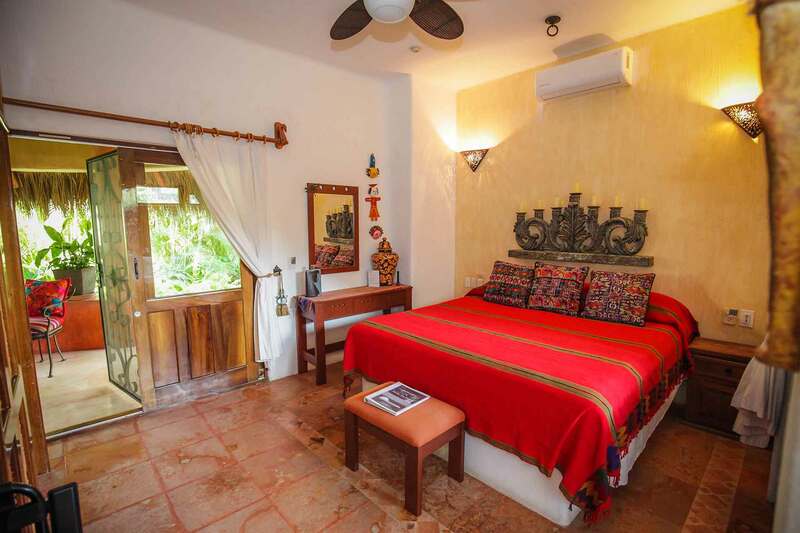 The enclosed king bedroom hosts an ample open air bathroom with shower, a king size bed donned with down pillows, fine linens, Mexican décor, a remote controlled air conditioner and satellite television with DVD player. 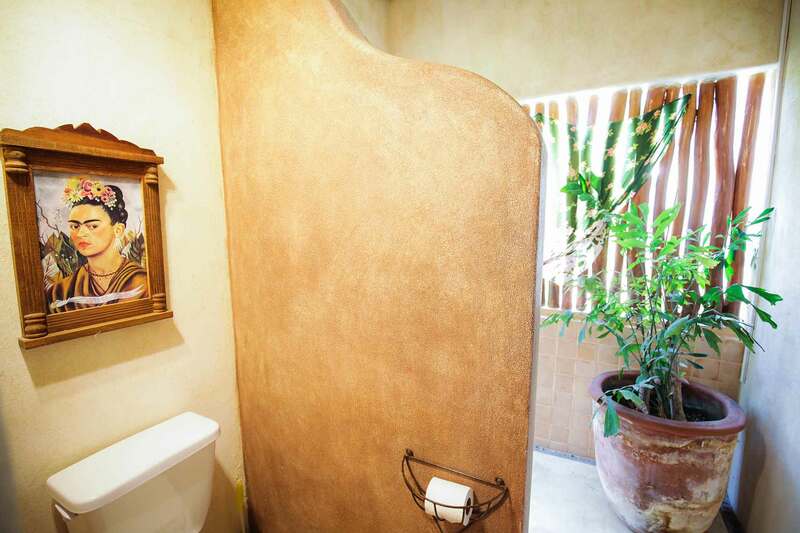 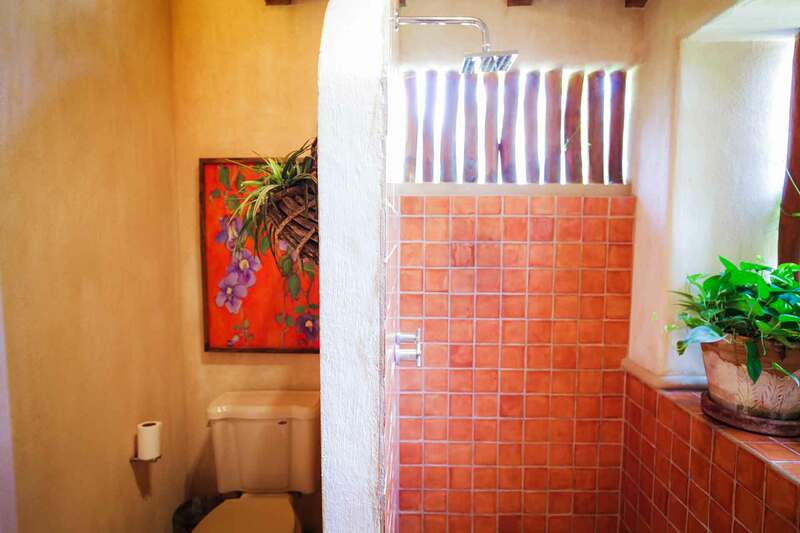 The entire property is privately walled in with completely separate, locked entrances for the main house and casita. 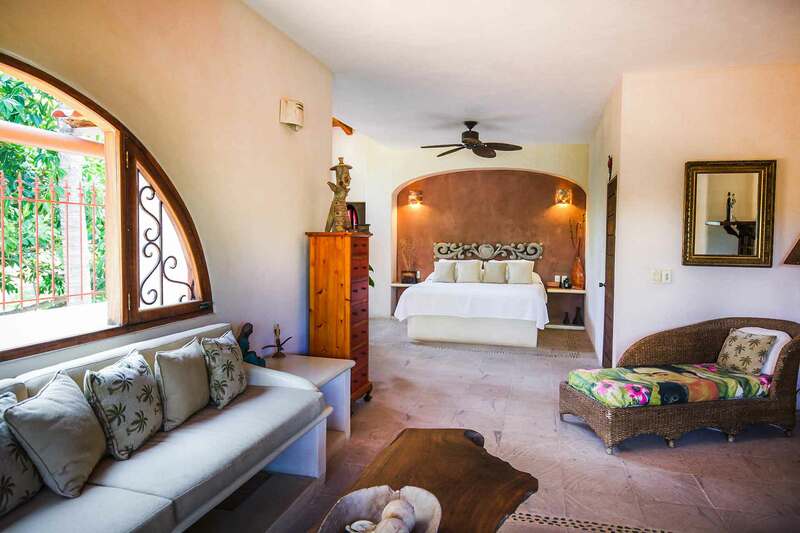 For more information regarding the casita or main house individually, see the one-bedroom Casita San Pancho and/or the two-bedroom Casa San Franscico.